Central Oregon is home to some of the greatest scenery and activities in the state of Oregon. As summer comes to a close in the High Desert and the evening light fades earlier, new opportunities arise in the world of adventure. When the snow falls, Central Oregon becomes a playground for anyone with a sense of adventure and willingness to try something new. 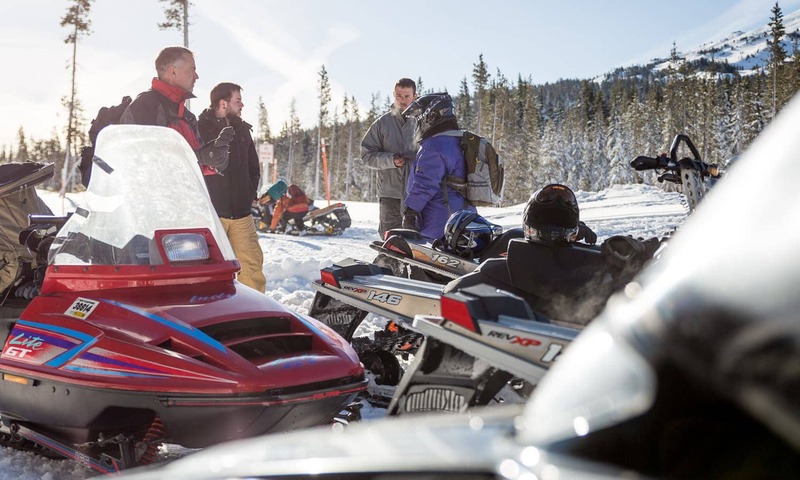 Some may prefer the classic snowshoeing, the tradition of skiing or snowboarding — while others lean towards the side of speed at the power of an engine. The speed I am talking about comes in the form of snowmobiles. During the summer months I find the thrill at the twist of a throttle and rolling on two wheels, but when winter brings the snow, the game changes. Snowmobiling is not only an adventurous way to get around in the winter for me, it’s also a family pastime. In late December, my family and I chose to spend a day snowmobiling in the Cascades. 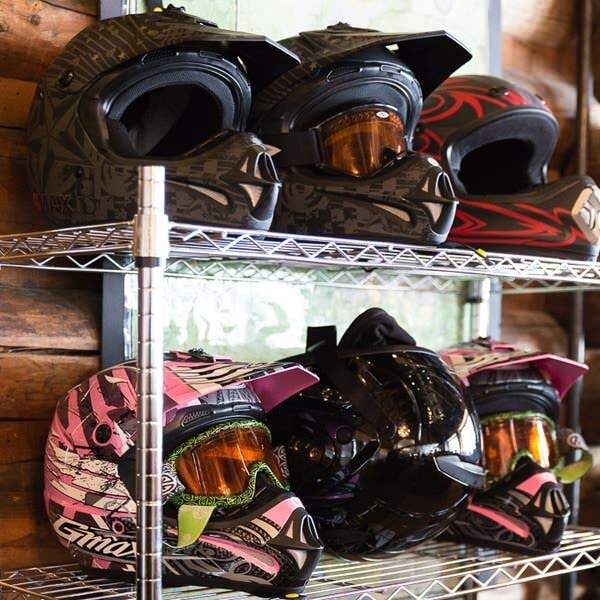 Reports stated the trails were freshly groomed and the weather showed a clear day for enjoying the scenery. Parking at Wanoga Sno-Park, 15 miles from Bend on Highway 46, the seven of us followed the groomed trails leading to Tumalo Mountain and the Cascade Lakes. It was a clear day and Mt. Bachelor glistened to the west in the early daylight as the Cascade Range opened into view. The views were surreal. 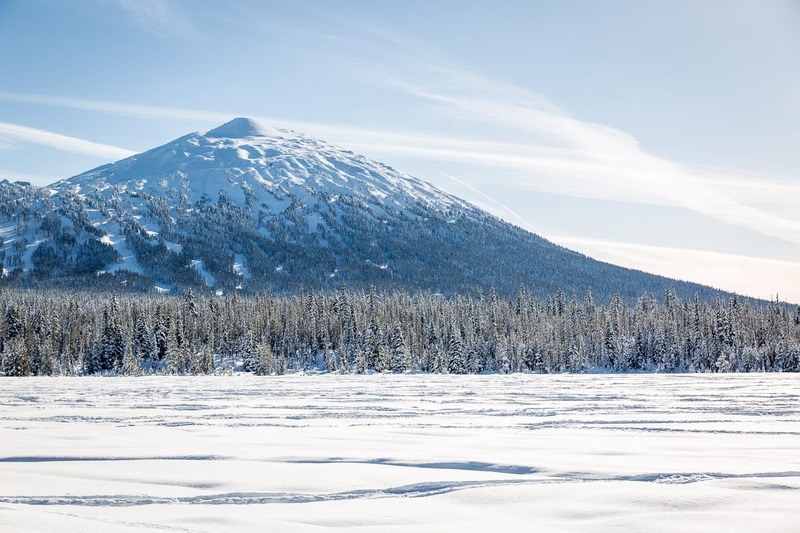 They revealed a landscape hand painted by mother nature herself, and the added thrill of seeing it from the seat of snowmobile, with a cold chill to the face, make it real yet enjoyable. 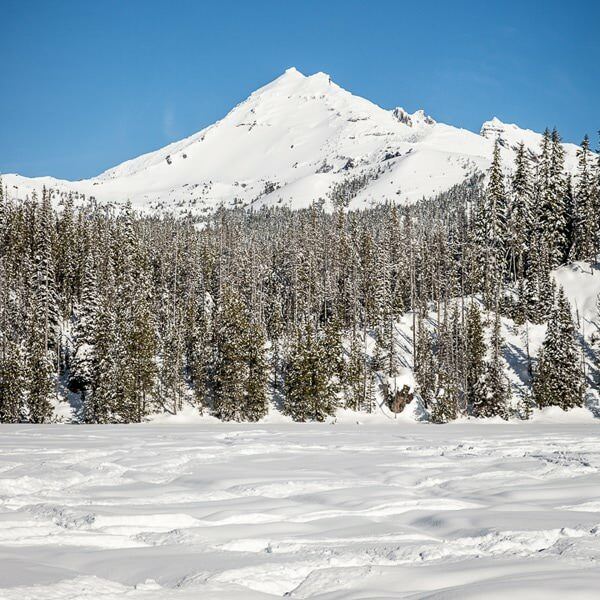 While riding the famous Cascade Lakes Scenic Byway in the winter, you pass a number of lakes popular in the summer season. 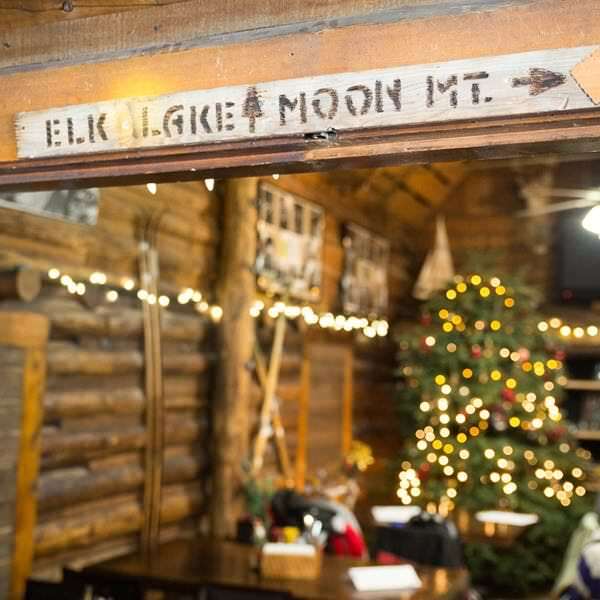 Now they’re adorned in snow and accessible only by snowshoe, skiing or snowmobiling. One can’t help but think only three short months ago this land was dry and barren of snow. At the time of our endeavor, the snowpack was estimated at 4 feet deep. Eleven miles past Mt. Bachelor we reached the famous Elk Lake Resort where we ate lunch and warmed up before pushing on for the day. 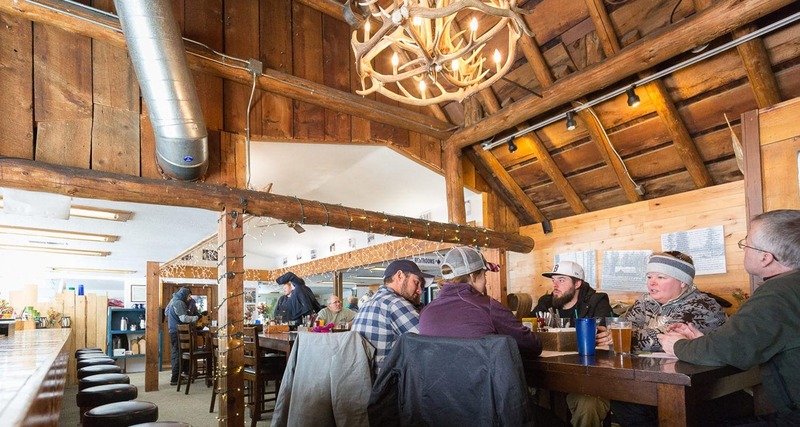 Elk Lake Resort is a popular spot for locals and tourists alike, and during the winter months they continue operations — while other resorts close for the season — and provide a warm oasis for hungry and chilled riders looking for the reprieve. The lodge not only offers food ranging from burgers to salads but also a full bar for those looking to add an extra punch to the experience. The burgers and peanut butter stout were a collective hit among us and fueled our journey home. Heading back the way we came, our group left the highway and followed a groomed trail leading to Moon Mountain, a popular spot for hill-climbers and adventurous riders to test the heights (and limits) of their machines. Only a short ride north is the cragged peak of Broken Top providing a wonderful backdrop for family photos. The Cascade Lakes Highway is a popular summer getaway. And while the crowds are fewer in the winter, the prize is still worth the effort. Just because there is snow on the ground doesn’t mean the adventure has to stop. Around here, it’s simply a means to escape in a different way. 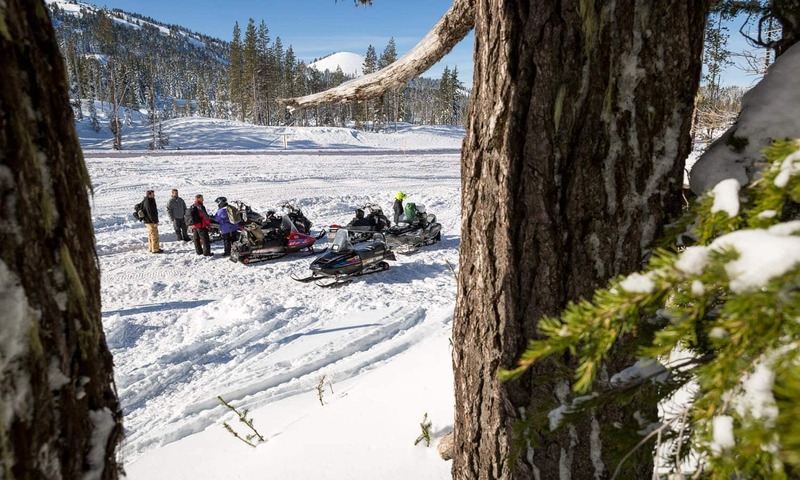 Note: If you don’t have your own snowmobile, Central Oregon Adventures offers two-hour, four-hour and sunset snowmobile tours around the Cascade Mountain Range and Elk Lake Resort. 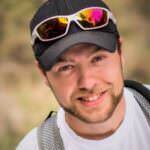 Cody Rheault is a photographer, filmmaker and writer from Sisters, Oregon. When his work doesn't take him abroad, he enjoys exploring the outdoors Central Oregon has to offer. He and his wife have been residents for more than 10 years and can often be found hiking new trails or touring the roads by motorcycle.